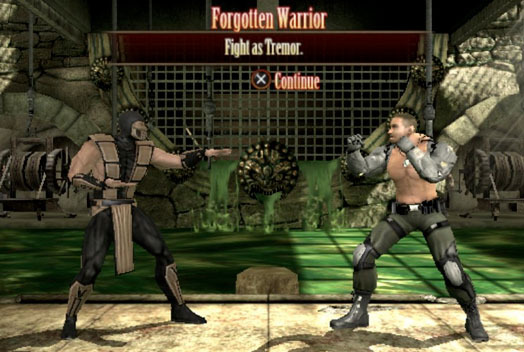 Tremor is a character which made his debut in Mortal Kombat: Special Forces. He is described as a former Lin Kuei Assassin who joined the Black Dragon and is one of the boss characters in the game. He is notable bulkier than the other Ninjas and has moves like a traditional fireball and a ground-pound similar to Jax in MK2 and 3. Tremor was once rumored to be one of the new Mortal Kombat Trilogy characters due to a wrong colored Rain in a screenshot. Fans liked the idea of Tremor and eventually created him for the 2D fighting game engine M.U.G.E.N. 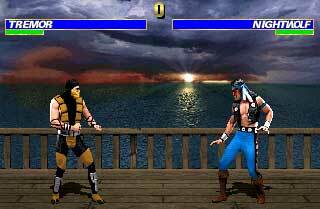 Like it happens sometimes characters rumored to be in a Mortal Kombat game, Tremor returned in the Challenge Tower mode of Mortal Kombat 9 on the Playstation Vita. 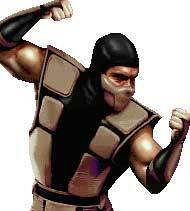 Who knows, maybe we see him for the first time as a real playable character in Mortal Kombat 10? 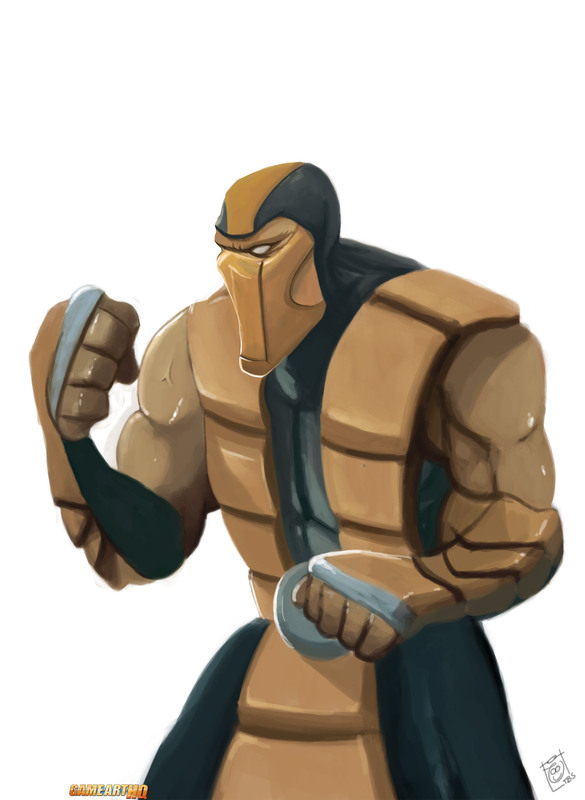 Tremor who was only rumored to be in Ultimate Mortal Kombat 3 / MK Trilogy was drawn by Pati88 as one of the 80 characters in the first round of the Mortal Kombat Art Tribute Project back in 2011. Visit also Tremor’s Game Art HQ Main Profile with more infos, official art as well as featured fan art and more.